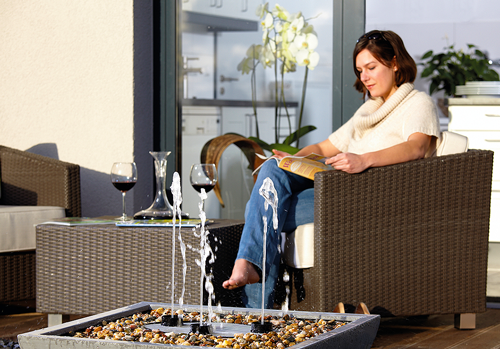 Water Garden have a wide selection of indoor and outdoor fountains and water features which will make ideal Christmas or Birthday gifts. A Water Feature or Pond Fountain is an ideal gift for those who enjoy the sight and sound of moving water. Our Water Feature kits consist of self-contained features that do not require a garden pond to install, such as Feature Ponds and Solar Powered Water Features. Indoor Water Feature make great gifts and many are supplied in attractive presentation boxes. Dancing Water Features and Fountain Sets make great additions to existing garden ponds and are very simple to install.